The talk all last season among the Black Hills High School volleyball team centered around one thing – making it back to state. The Wolves were able to succeed in that mission, ending a six-year drought to make their first trip to the Class 2A state tournament since 2011. 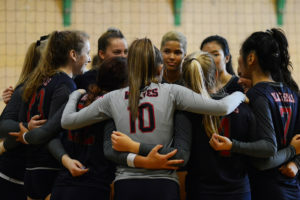 Black Hills was sent home following back-to-back 3-0 setbacks, losing in the first round to White River, which would go on to finish fourth in state, and in the consolation bracket to eventual seventh-place finisher Liberty of Issaquah. The topic of choice remains the same this year – it’s been all about working toward making it to state in consecutive years. But the tone is different among the players. It isn’t about simply making an appearance in 2018. The Wolves want to make a statement. Black Hills certainly features a front row that can accomplish just that. 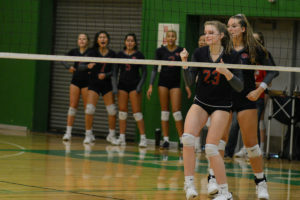 Behind 6-foot Rongen, who was a second team member of the Washington State Volleyball Coaches Association 2A all-state team last year as an outside hitter, and fellow seniors Madison Shepler (5-foot-11) and Maisy Williams (6-0) the Wolves sport more length, athleticism, and experience along the net than most any other team they will face this season despite losing a strong senior class from last year’s squad. Black Hills will attempt to make a return trip to the Class 2A state tournament this year. In addition to Rongen, Shepler, and Williams, Black Hills also returns senior defensive specialist Ainslee Eberle and junior outside hitter Brenna Nelson. Both were honorable mention all-conference players a year ago, and will play large roles in the Wolves’ success this year. Despite graduating several key players from last season’s deep postseason run, Black Hills enters this year with the value of knowing exactly what needs to be done to return to the state tournament. Maisy Williams (No. 2) goes on the attack during the pre-season jamboree at Tumwater High School. 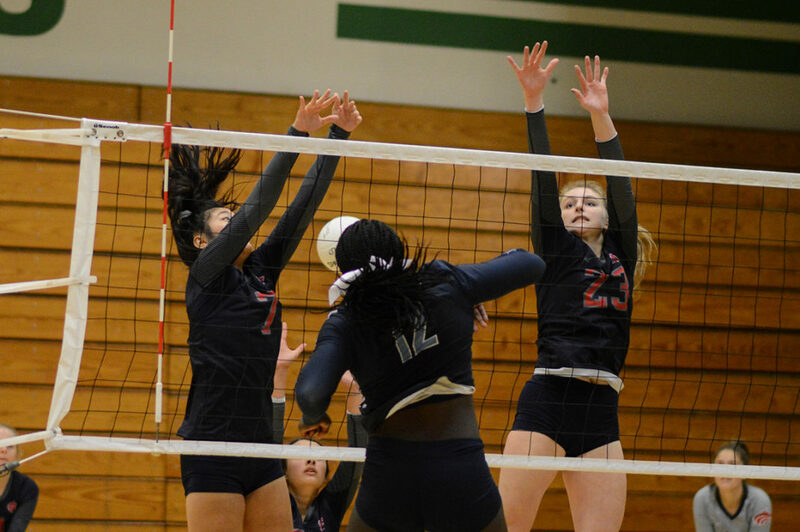 The Wolves are coming off a 2017 campaign where they finished second to rival Tumwater in the 2A EvCo, going a strong 7-3 in conference play with all seven of their triumphs coming in 3-0 sweeps. They followed up the regular season by claiming second at the district tournament, losing 3-2 in the finals to Ridgefield, a squad that would go on to finish second at state. Black Hills last placed at state in 2011, finishing seventh overall. It would be a fitting end for this year’s quartet of seniors as they mark Prigge’s first four-year class. Black Hills players cheer on Hannah Rongen (No. 23) following a kill by the senior against Olympia. 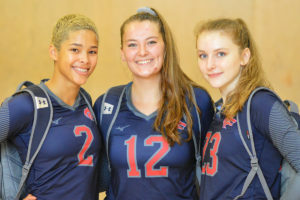 While all three are terrors at the net for opposing teams, they each feature different off-the-court traits that complement each other’s strengths. 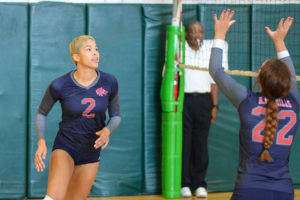 Shepler has always been the team’s vocal leader, Rongen is the quiet, lead-by-example player, and Williams is simply one of the state’s top three-sport athletes.